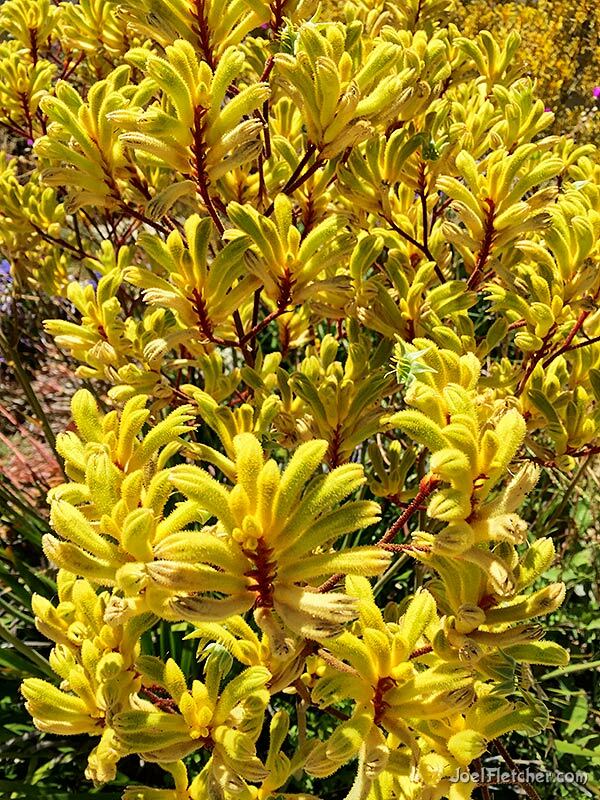 The vividly colored, velvety flowers of the plant known as Kangaroo Paw is a popular decoration in Southern California landscapes. As you might guess from the name, it is native to Australia. Photographed while on a neighborhood walk with my iPhone.